Now I should probably add a caveat to this title. 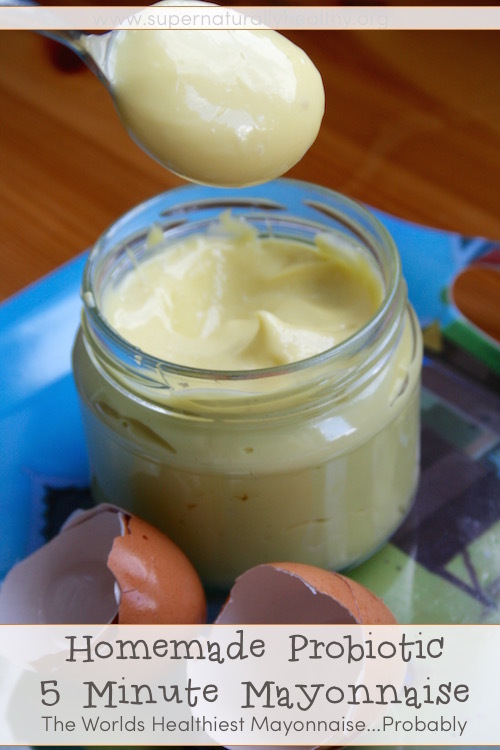 This is the world healthiest mayonnaise according to me only, I have not had some world expert hover over me as a make this. 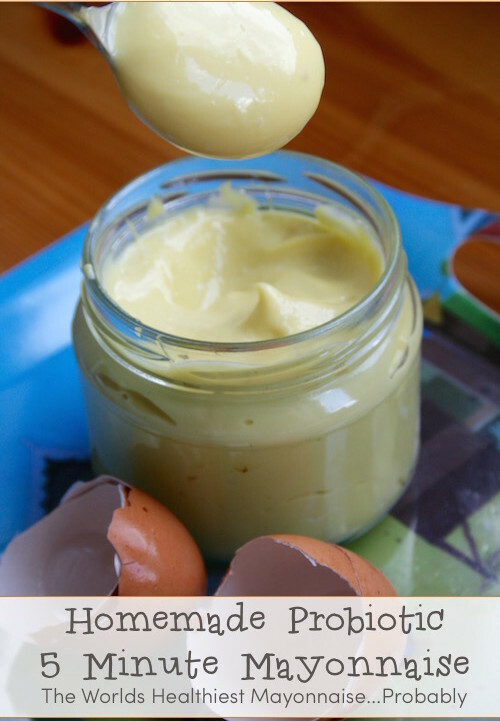 But this Homemade Probiotic 5 Minute Mayonnaise (The Worlds Healthiest Mayonnaise!) is honestly the best mayonnaise I have found or ever made. But first what is the problem with standard mayonnaise? It is often make with cheap processed vegetable oil that cause inflammation and upset within tthe body. I avoid all processed vegetable oils that are low in quality, especially things like vegetable oil, soy bean oil, rapeseed oil and sunflower oil. This is the main reason I avoid shop bought stuff. It is a source of sugar. Now tiny bit of sugar is not a disaster for most of use but if you re focusing on healing the body you need to straggly have no sugar as it causes a whole host of problems in the body. If you like me though you probably thought making you own mayonnaise was this incredibly laborious process where you spend half an hour standing at you mixer. Thankfully this is not the case. This recipe is literally done in 5 mins and is incredibly nutrient dense. I am often saddened that there are only 3 meals in a day for I LOVE food a lot and I am a firm believer that food is medicine, so I endeavour to make all of my food as nutrient dense as possible so that my once sick body can keep on getting healthier and healthier. I personally think eating local, organic, happy egg yolks is incredibly healing for your body and I have never had any issue nor have any of my one2one clients who have tried them. Why is this the healthiest mayo ever? the perfect combination of fats, proteins, fat soluble vitamins and probiotic GOODNESS! Great for those on GAPS, SCD or other healing protocols. 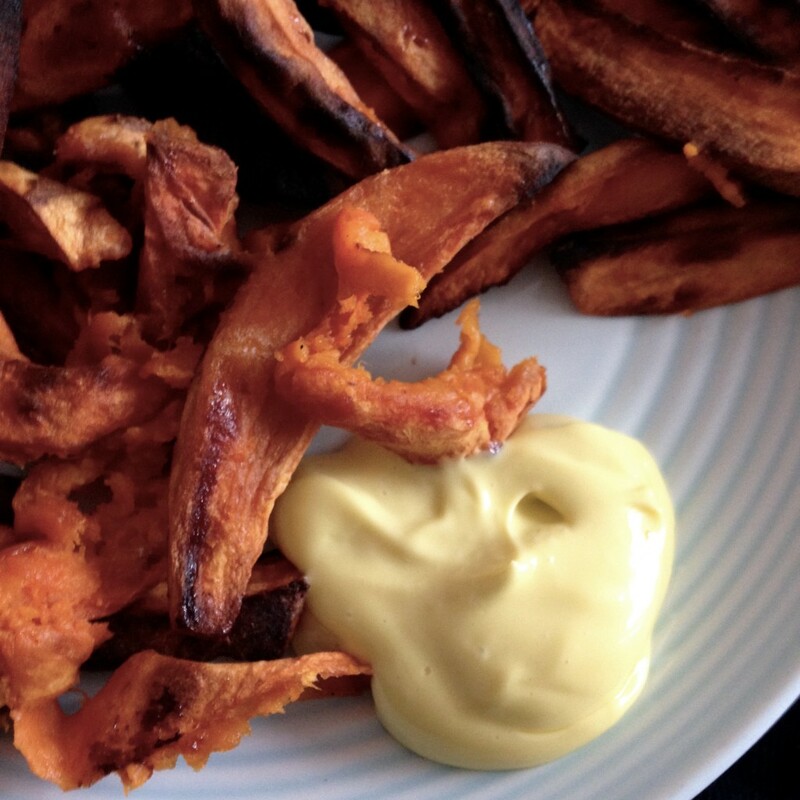 So make some sweet potato chips and get dunking into the worlds healthiest mayonnaise! 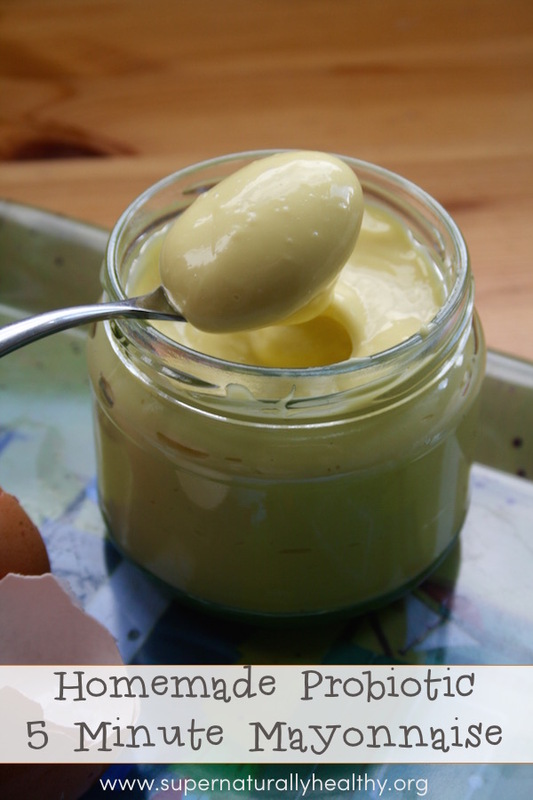 Homemade Probiotic 5 Minute Mayonnaise - The Worlds Healthiest Mayonnaise! In a small food processor blend the egg yolk, salt, mustard powder, raw apple cider vinegar. Then slowly pour in the olive oil in a small steady stream and you will see it emulsify. This will take about 1-2 minutes. Once you have added all the oil then pull apart your probiotic capsule and pour in and let it mix for a further few seconds. Do the same with the lemon juice. Pour into a sterilised jar and leave outside the fridge for a day. After that store in the fridge and it will last for about 4 days. Feel free to use another oil you like - I have tried it with avocado oil but olive oil is my favourite. Other good oil choices are hemp oil and organ oil and ideally make them organic. 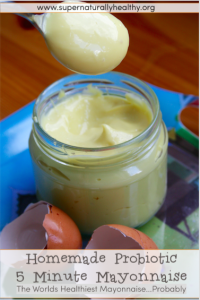 What is your favourite thing to have mayo with? by the way, do you accept pay pal or google pay?